Common, one of hip-hop’s favorite renaissance men, is back in the game with powerful music, and his art is right on time. With much of the country still reeling from the results of the most recent election, people are thinking of causes that can be supported as a way to preserve the humanity of underserved communities. One of those causes is prison reform. More people are starting to educate themselves about America’s prison crisis, and now that Ava DuVernay’s documentary 13th is streaming on Netflix, it’s hard to not get more educated about how and why there is a disproportionate amount of Black people in jail compared with their White counterparts. 13th craftily tells the tale of how the thirteenth amendment plays a part in said imbalance through the use of interviews with pundits, artists and activists. 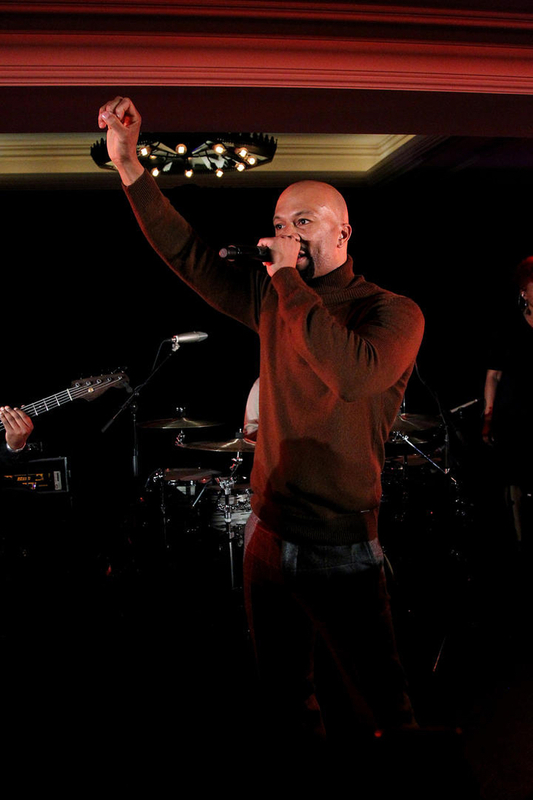 Common is one of the featured figureheads in the film, and his latest single, “Letter to the Free,” is part of the movie’s soundtrack as well as his 11th studio album, Black America Again—with production from Robert Glasper and Karriem Riggins. The song’s soul-touching lyrics and brooding melody complements the story underscored by the film. 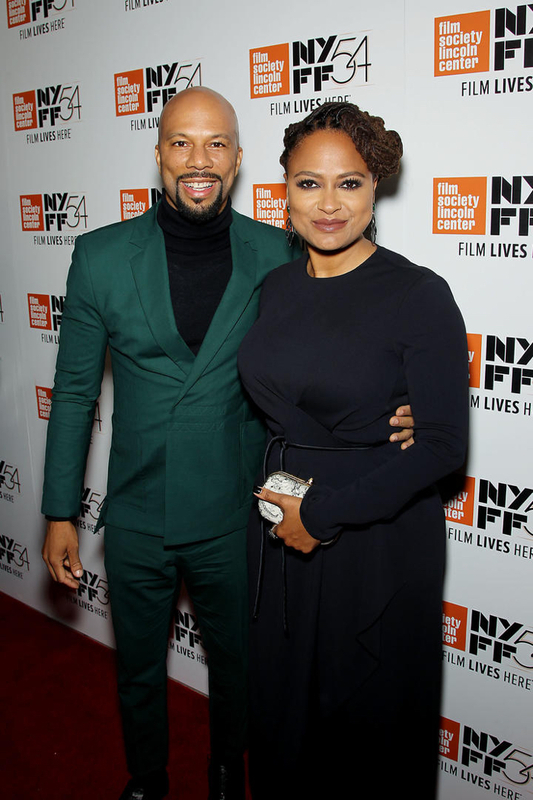 The Hollywood Shuffle caught up with Common to chat about his personal exploration of the prison industrial complex, why he partnered with Ava DuVernay again, and why it’s important that people learn how this affects the Black Community. “Letter to the Free” is a very beautiful and spiritual song. Talk about what place you were in when you wrote it, and creating your album, period. Spiritually I have been in a place where I want do things that have purpose. Things that can impact life in a positive way. Things that can activate and empower individuals to want to want to work together and be together, and improve our lives. And I’ve been seeing a lot of art out there that’s been doing that for me. Whether it’s Between The World And Me, or whether it’s seeing Hamilton and seeing people of color as George Washington, or going back to James Baldwin. I was so focused on the violence going on in Chicago and when she started tying that into mass incarceration—the fathers being removed from the home and how that cycle continued … I had already been writing songs and working on my album, Black America Again, so have just been in the spirit of what I should be doing. I could tell [Ava] really liked it so I was grateful. I was grateful because I look for things that I could write about that can be impactful. I still have fun and I’ll do … On my album I am having fun, I’m doing songs where I’m just rhyming like the song called “Pyramids” but where I feel more purposeful and most fulfilled is doing a song like “Letter To The Free” or “The People” or “Glory” or something like that. You brought up Michelle Alexander, who wrote The New Jim Crow. For many people, understanding the prison pipeline has been through that book. Can you talk about what your personal trajectory has been to come and understand and decode it has been like? But I didn’t know that the thirteenth amendment said what it says about us being—if you a criminal then you can be a slave. All that information, I’m still continuing to learn and it’s been an awakening, and I think it’s an awakening that the country—this is part of American history that we—the same way we teach our kids about the people who came to revolutionize this country, we teach them about slavery too. We need to teach them about slavery and how this tied in to where we are now. If they can see that, they start putting two and two together we start functioning different. What was it like interviewing the superintendent of the Chicago police? Was that encounter surprising to you? Did you change your perspective at all from encountering him? When you think about Kalief Browder, you think about a young man that was accused of stealing a backpack and ended up being on Rikers for what, three years, and then ended up committing suicide. I mean, come on. Life got to be appreciated more than that. That made me sad just talking about it. I think I kind of learned that some of this stuff is just so political. Even when like I was talking to my friends about black lives matter. Then People start saying all lives matter. I was thinking never when I ever heard about black lives matter did I feel like the statement was being said or the movement was there to say that nobody else matters. It was just saying hey black lives matter. You got to pay attention to this, and that’s even being said to some black police officers too. Meaning black lives matter. Don’t shoot us. Don’t kill us. I just want to go on the album real quick. You mentioned earlier you worked with Robert Glasper. What other musical inspirations, as well as things going around, politics, violence gave inspiration to the complete album? The complete album is really—I look at it as human eyes. Who we are as black people? So that means the human eyes is not—if you think of the title song, “Black America Again,” that was written because of a song that a friend of mine had about Sandra Bland. Her name is Maimouna Youssef. She had this song about Sandra Bland [and] I felt emotional about Sandra Bland because her life was gone and we were singing about it. She was singing about it, but I was thinking about her family and thinking about this person. She had life to live and it got taken away for—we don’t even know what reason, and it hit me on an emotional level. And I was thinking about how this stuff repeatedly happens. I was watching Straight Outta Compton and Rodney King and that was ’93 and he’s being beat like an animal. And then I looked at Eric Garner. It made me think of Eric Garner’s tape. And this is a cycle that goes on. It happens again and again. That’s why I called it “Black America Again”. In “Black America Again” we are writing a new story. This is the new Black America and we writing a new story. A new narrative. That’s why Stevie Wonder is singing that. We are rewriting the Black American story. You get that aspect on the album but then you also get a song like “Unfamiliar” where I’m talking about love. I’m talking about love in an unfamiliar space. I feel like all of that is about humanizing who we are. I think that’s what this album is, that’s why I got a song called “The Day The Women Took Over,” because my fight is definitely for—to raise black consciousness and awareness to show who we are spiritually. From love perspectives, to joy, to just having fun, dancing, art. I used Lorna Simpson, this artist, to do the artwork for my album; Ava DuVernay, Gina Prince-Blythewood, Kasi Lemmons, Malcolm D. Lee and Julie Dash, all did short films to the project. Those short films to Black America Again. I wanted this to be a place for black expression. That’s what this album is. This is who we are. It’s not like “Yo, we ain’t down with White folks or we ain’t down with Latinos. We all in this together, but we can celebrate. We are going to express who we are just so the world knows and can see it. On a lighter note, who is you Harlem Renaissance era spirit animal? My Harlem Renaissance era spirit animal. That’s a really good question. So which Harlem Renaissance writer? I am going to go with James Baldwin. [Editor’s note: The interview had to wrap up before I could get him to elaborate on the James Baldwin bit, but that’s not a hard comparison to draw, right? We now officially regard Common as Hip-Hop’s James Baldwin]. *All images used with permission from Sunshine Sachs.